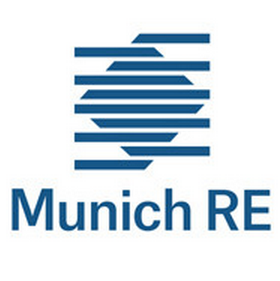 Global reinsurance firm Munich Re said today that it does not expect to repeat the profits it made in 2015 this year, noting an expected continuation of competitive pressures, the probability of higher catastrophe claims and as lower returns factor into overall profitability. Munich Re’s returns on capital and equity declined in 2015, as pressure on pricing in reinsurance markets and high levels of competition squeezed its key performance metrics. In the reinsurers balance sheet results announcement this morning it announced a profit target of €2.3 billion to €2.8 billion for 2016, down from the €3.1 billion achieved in 2015. Despite the reduction in return on risk-adjusted capital in 2015, which fell to 11.5% from 13.2% in 2014 and return on equity of 10%, compared to 11.3% in 2014, Munich Re was able to deliver an outstanding profit, largely thanks to low levels of catastrophe loss experience and high levels of reserve releases. The reinsurer does not believe that this can be repeated in 2016. Outgoing CEO Nikolaus von Bomhard, who will be replaced by Joachim Wenning in April 2017, explained; “Although 2015 was not an easy year, Munich Re was able to generate a profit of €3.1bn, thus beating the announced target for the year. Thanks to our capital strength and conservative underwriting and reserving policies, we are able to post gratifying results even in a difficult market environment. Competitive pressures in reinsurance and the continued influence and growth of alternative capital and ILS are factors pressuring Munich Re. The company noted some trends in the market today, saying that while reinsurance capital remains abundant it has seen a slowdown in the growth of alternative capital. There has been a notable slowdown in the rate of pricing decrease in reinsurance as well, according to Munich Re, in some key segments of the market. Tiering of reinsurers continues to be a factor, something which plays into Munich Re’s hands as one of the largest reinsurers, as well as a growing demand for more complex programmes, something else it offers to clients. Interestingly Munich Re said it noted hardly any pressure on wordings and largely stable retentions, which are positive signs for the market. The fact rate decreases are slowing, alternative capital growth has slowed and pressure on wordings abated, all suggest a bottoming out of the reinsurance market, but Munich Re remains wary. Torsten Jeworrek, Member of Munich Re’s Board of Management responsible for reinsurance commented; “On account of our good access to clients and diversified business model, we consider ourselves well placed to write profitable business even in a strained business environment. However, the reason that Munich Re’s profits were so high in 2015, or at least a key contributor, was not a bottoming or stabilisation of the market, but rather its low combined ratio in property casualty reinsurance of just 89.7%, compared to 92.7% in 2014. Around 7.2% of the combined ratio improvement is down to reserve releases and interestingly Munich Re admits that it released a particularly large amount of reserves in 2015. But with catastrophe loss experience low in 2015 the reinsurer does not expect to benefit from reserves to the same degree in 2016. This leads the firm to target a much higher combined ratio for property casualty reinsurance in 2016, of 98% of net earned premiums. 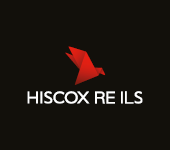 At 98% that leaves only 2% of exceptional loss activity for the property casualty reinsurance business to tip into unprofitability in 2016, on a combined ratio basis, which isn’t a large amount of additional loss experience to suffer. Could this be a sign of dwindling reserves, due to the inability to replenish as much in recent years due to the more benign loss environment? It would appear so. Of course Munich Re is a fully diversified insurance and reinsurance business these days, with the ability to offset any decline in profitability in reinsurance with its other business areas. But the fact that the reinsurer is forecasting lower profits and much higher combined ratios, as well as mentioning that recent high levels of reserve releases may not be able to be repeated in 2016, does provide a signal of where other reinsurance businesses may find themselves as this year progresses. The question remains, what will happen when major losses do strike. On the basis of the forecast combined ratio, any major loss would tip the reinsurance business into negative territory very quickly. At that point terms underwritten, prevalence of multi-year or aggregate covers, quality of retrocessions, level of price adequacy, will all come into play for companies like Munich Re and its competitors. At that point we may begin to get a clearer look at who has a sustainable, disciplined business model in the reinsurance market (and among ILS players) and who has left themselves open to an enlarged share of losses, as well as greater resulting pressure on returns and profits. You can read Munich Re’s full balance sheet statement here. – Munich Re reflects reinsurance pressure as returns decline in 2015. – Munich Re cites “valuable” capital market risk transfer with sidecar & cat bond.